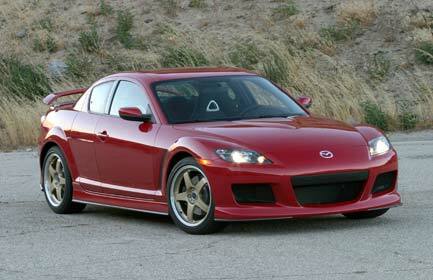 The Mazda RX-8 is a sports car manufactured by Mazda Motor Corporation. It first appeared in 2001 at the North American International Auto Show. It is the successor to the RX-7 and, like its predecessors in the RX range, it is powered by a rotary engine. The RX-8 began North American sales in the 2004 model year.